‘Tis the season of festive eating and drinking! But how do all these festivities affect your mouth? 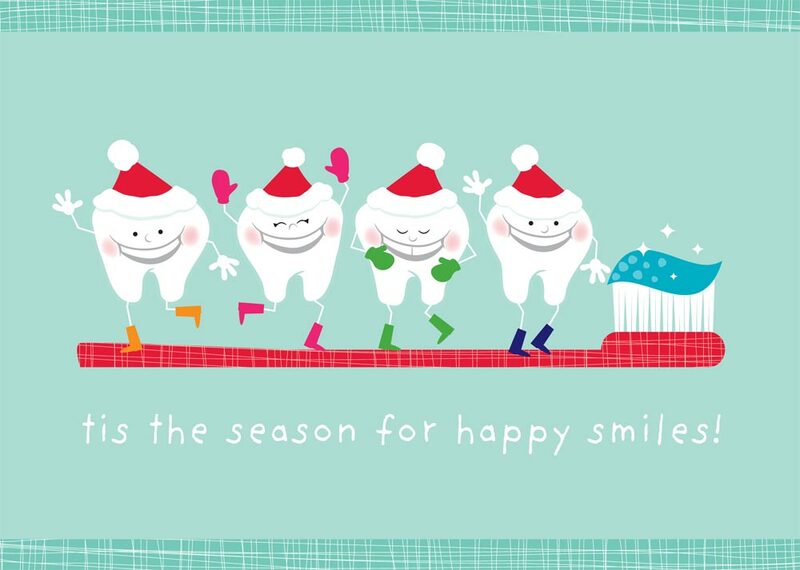 And what steps can you take to keep your smile healthy? Exposure to sugars and starches (think sugar cookies, snack mixes and desserts), combined with bacteria in the mouth, promotes high acidity and leads to an increased risk of cavities. Sodas, red wines, fruit punches, even cranberry relish can stain teeth and are acidic, which can lead to weakening of tooth enamel called erosion, causing sensitivity to exposed roots. Make sure to brush teeth at least twice daily, and floss or use between-teeth cleaners such as floss-picks, soft tooth picks or narrow brushes called proxabrushes. Carry them in your handbag or pocket for quick access on-the-go. Have water with meals to rinse away other beverages and food particles. Chewing sugar-free gum balances acidity in mouth. This allows minerals naturally found in saliva to strengthen and protect teeth. Hit the veggie and cheese tray! Raw vegetables like carrots and celery are low in sugar become like tooth scrubbers when chewed, and cheese contains good enzymes that interfere with the bad bacterial activity in mouth. Don’t forget your tooth whitening strips to offer a quick smile brightener by removing surface stains. Kenosha Smiles wishes you a blessed season. 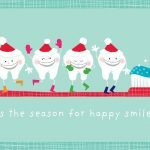 Wear your best smile and enjoy the holidays!